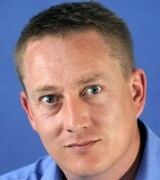 A journalist who became a weekly newspaper’s youngest ever editor at 27 has died aged 49. Tributes have been paid to Malcolm Prescott, left, who spent 10 years with the Surrey Comet before emigrating to work on newspapers in Australia. Malcolm joined the Comet in July 1989 after studying journalism at Highbury College, in Portsmouth. He rose to the position of editor and oversaw the Comet while it was the “fastest growing newspaper in the South of England”, tripling its readership, according to an obituary published in his former paper. In 1999, he moved to Melbourne, Australia, to edit the Leader Community Newspapers and relocated to Brisbane in 2006 to edit Quest Community Newspapers. Malcolm had battled illness for the past two years but continued to work as a sub-editor on Brisbane-based daily The Courier-Mail, where he was “adored and respected by his colleagues”. His wife Libby, from whom he was separated, said: “He was brilliant at his job right to the end. He was always seen with a pen behind his ear and a newspaper under his arm. Malcolm was born in Wimbledon and grew up in New Malden, and enjoyed cricket, football and rugby union away from work. He is survived by his sons Jack and Luke, his parents Louise and Raymond, his brothers Martin and Harvey, and his sister Caroline. His funeral was held in Brisbane on Wednesday 27 June. A lovely, lovely man. RIP Malcolm.